During the annual Open House in London I visited this relatively small place with complex design. It is certainly not an ordinary shop. 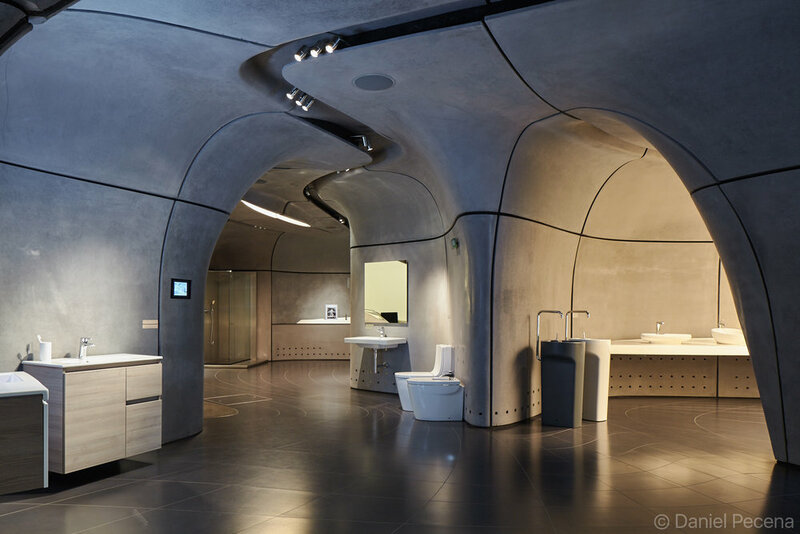 Roca Gallery London was designed by Zaha Hadid Architects as a gallery and presentation showroom for leading bathroom and tiles manufacturer. 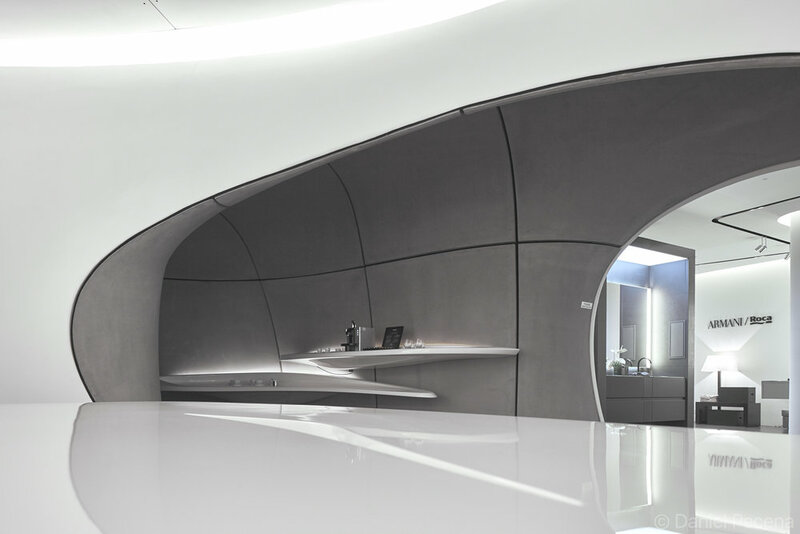 This complex and innovative space creates interesting visual experience that may be comparable to moving through a cave or canyon. 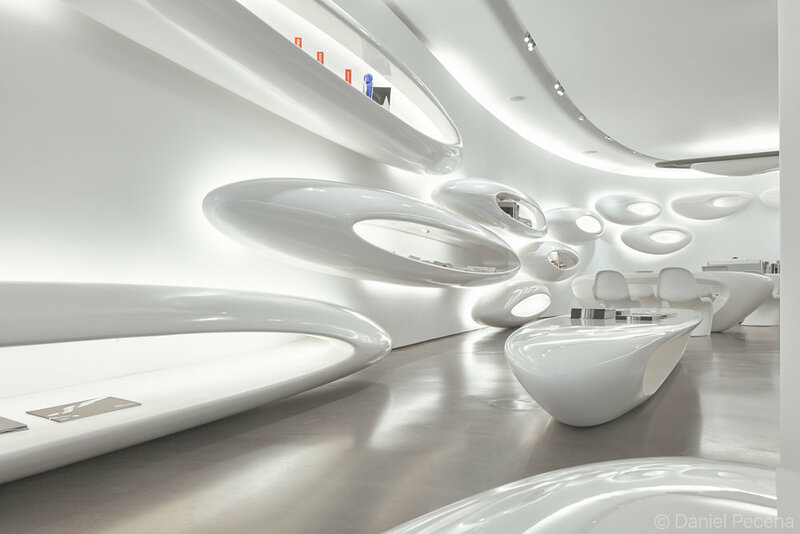 It is no wonder as the inspiration to the architects was indeed water – its different forms and attributes. The gallery occupies one floor and there are two main features in its design. Firstly, it is continuity and fluidity of space which twists and turns creating one seamless experience of movement through the interior. Secondly, it is the contrast between materials used: GRC (glass reinforced concrete) and GRG (glass reinforced gypsum). 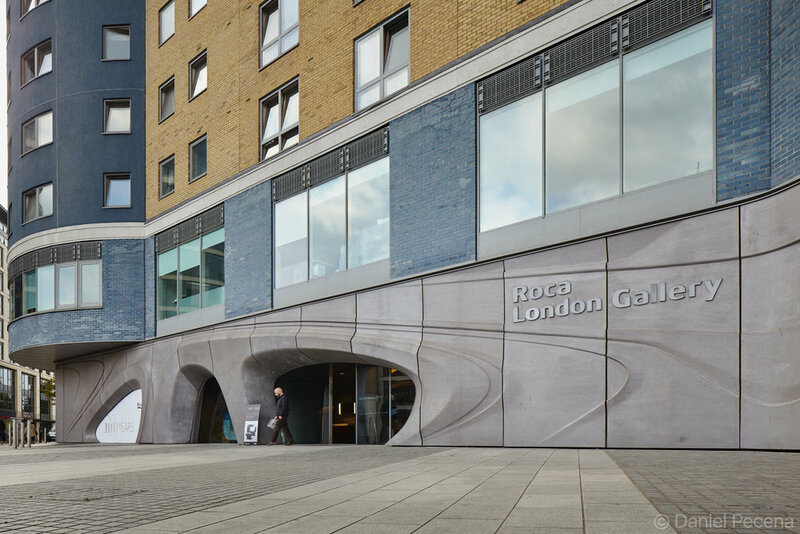 The space is not only used for showcasing Roca’s products but also for exhibitions, public lectures and other events.